To email the entire District 100 Board of Education, please click here or send an email to boardofeducation@fenton100.org. Individual email addresses and additional information can be obtained by clicking on the particular board member's name below. Mary Ann Payton-Howell was elected to the District 100 Board of Education for a 4-year term in April of 2017. She is a lifelong resident of the Bensenville Community and has worked for John B. Sanfilippo & Son, Inc. (Fisher Nuts) for 34 years and currently is the Office Services Manager. She says, "I am enjoying the experience and education of making a difference in the lives of all our students." Patricia (Patty) Jalowiec was elected to a 4-year term in April of 2017. She has been a 15 year resident of Wood Dale. She is married to Jeff and has 4 children: 3 of whom have already graduated from Fenton. This is Patty’s first elected position, but has numerous volunteer and appointed positions on various boards and committees, including the Wood Dale Comprehensive Plan Steering Committee. She actively volunteers around Fenton High School for her children’s many activities, as well as at Holy Ghost Catholic Parish as the coordinator of Youth Ministry and several other positions. She is retired from the United States Air Force, and continues to volunteer as an Admissions Liaison Officer for the Air Force Academy and is a Registered Nurse. 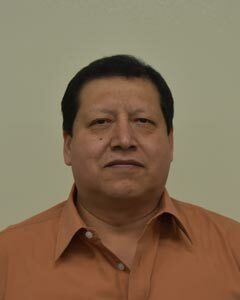 Leonel Figueroa was confirmed by the board in February 2018 to fill the vacant seat. 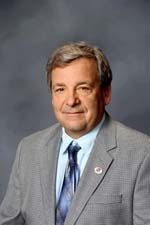 He brings volunteer experience to the District 100 Board. He served as a member of Blackhawk PTA, Boosters and is currently a member of the Fenton Music Boosters. He has one daughter who is a graduate of Fenton and one son currently attending Fenton HS. Mr. Figueroa is a 29-year resident of District 100. He holds an Associate’s degree in Elementary Teacher Education and in Business Administration and is currently working at Bridgestone in Wheeling. Juliet Rago was elected to the District 100 Board of Education in April of 2017. She and her family have lived in the Fenton community school district for 13 years. Juliet is a proud parent of a recent graduate of Fenton, and two current Fenton students. Juliet has always been an active parent volunteer throughout her children’s academic careers. She looks forward to doing her part to help Fenton continue to provide an exceptional education to its students. Jacci Ramirez was elected to the District 100 Board of Education for a 4-year term in April of 2017. 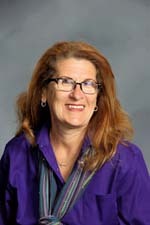 Laura was elected to the School District 100 Board of Education on April 5, 2011. She and her husband both grew up in Bensenville, lived in Wood Dale for a time and have called Bensenville their home for the past 17 years. The entire Wassinger family, including their three children, are all graduates of Fenton High School. Laura has represented the FHS Board of Education on the Bensenville Foundation, the Bensenville Intergovernmental Group (BIG) and the FHS Policy Committee. She was recently appointed by the Village of Bensenville to serve as a representative on the Bensenville Arts Council.